If you're in new product development, or simply work in management and depend on new products for your livelihood, this is definitely the must-read of the decade. You're going to love the increased productivity and the freedom to be creative of this new product development system. Where do you suppose it originated? Toyota, wouldn't you know. Iffamiliar with what's going on in industry today, you're already aware that the Toyota Production System is the envy of Western manufacturing. Companies like Dell Computers and Pella Windows are using it to sock it to their competition. But did you know that Toyota's new product development system is just as important to the ongoing success of Toyota? Consider this. Toyota's new product engineers are 400 percent more productive than those employed by most companies. Talk about productivity. It's enough to make top management want to dance a jig. This book explains that system and how it can be implemented. Michael Kennedy's book, Product Development for the Lean Enterprise, gives an experienced insight into the dilemma faced by some of North America's largest organizations, those who have embraced management science in all of its complexity to win national awards, only to find they are unable to compete successfully at the customer level. 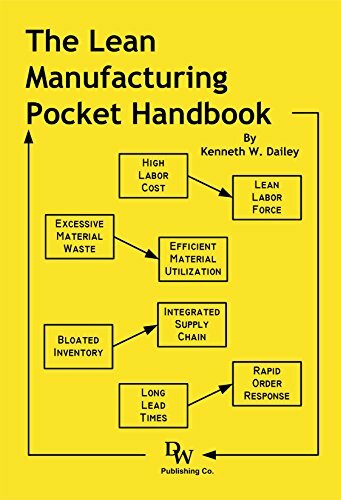 Using an engaging fictional narrative, Kennedy provides a fresh insight into product development; this book will challenge your beliefs and understanding and likely intrigue you sufficiently to investigate how aspects of the process can be made applicable in your enterprise. It is a treasure trove of information on, not just its principal topic, Toyota's unique product development process, but details on establishing and operating "a process renewal team" and "large group interventions for organizational change". 	have functional engineering managers focus on teaching and mentoring engineering talent, not administration. 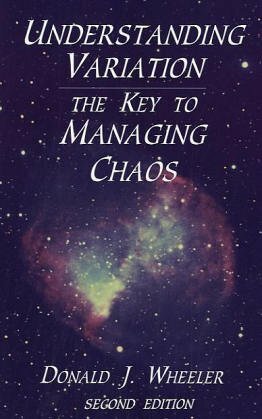 In addition to product development, Kennedy's book gives the reader an overview of change management issues from strategy, to personal and political conflict, to presentation and implementation tactics. The book stimulates thought; it proposes possibilities; it gives a glimpse into the future of an enlightened company's product development process. It is beyond a wake-up-call; it is mental nourishment to everyone whose enterprise relies on engineered products. All textbooks over $50 are a rip off, WRITE A LETTER TO YOUR STATE SENATOR TELLING THEM YOU WON'T STAND FOR THESE OUTRAGEOUS PRICES ON TEXTBOOKS FOR SCHOOL. MOST STUDENTS CAN'T AFFORD TO PAY THESE RIDICULOUS PRICES!!! WE CAN BEAT THE ENDLESS NEW EDITION CYCLES THAT PUBLISHERS RIP US OFF WITH IF WE MAKE IT KNOWN!! WE CAN'T AND WON'T STAND FOR THIS! Told in first person in the form of an entertaining novel, Goldratt's "The Goal" is a popular book that explores ideas valuable to managing numerous business situations. We are placed into the life of plant manager Alex Rogo as he faces an immediate production crisis and the threat of plant closure. During a business trip, he has a chance encounter with manufacturing guru Jonah. Rogo's dialogue with this teacher as he wrestles with his own plant and it's manufacturing problems serves up a rich body of material that requires no background in manufacturing or assembly line processes. It remains interesting even as inventory management, assembly throughput, and bottleneck analyses take place in his quest to keep his plant in business. The use of a hiking trip to discuss fluctuations and dependencies as a scout troop progresses through the woods is superb, making "Herbie" a recognized name among many manufacturers. 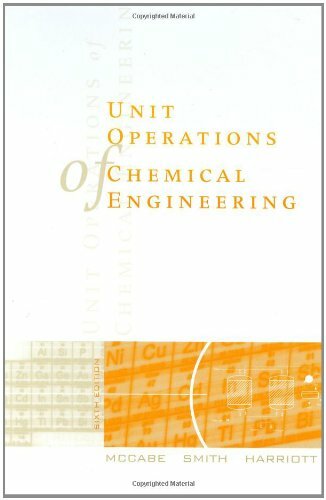 The book also provides a valuable illustration of the importance and impact of "choosing what to measure," that is, which numbers (production data) one should track to determine the effectiveness of an operation. Reading "The Goal" is well worth the time for anyone managing a business. Its principles are far-reaching and applicable in a wide variety of situations. Given its popularity, you can pretty much bet that your competitors have read it. The Goal: Book of Plenty or Plenty of Book? The main objective of the text is to present Goldratt's theory of constraints. The story is meant to present what would otherwise be a boring and dry text in an easy to read, interesting format. As stated in "Here today, wrong tomorrow" by Daniel Butler, many of these types of books are not even opened, much less read. 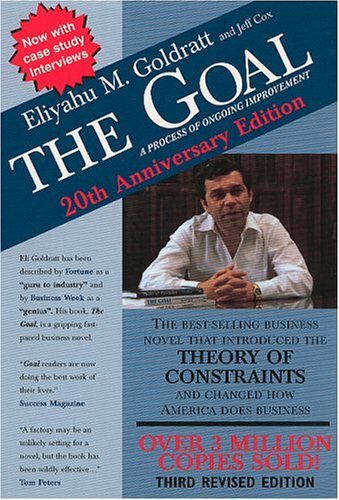 Goldratt actually adds a compelling story, making the book much more palatable, and also better showcasing the natural flow of the theory of constraints. The story is also inspirational, as it details a man who saves his factory and his marriage at once, as well as the moment when he took a six-pack on the hill to overlook his town trying to sort his thoughts. Those real details make Alex much easier to identify with, and make the book a much more interesting read. The inter-office politics and the scout trip are also two really good areas of the book just for the entertainment value. The late night escapades with co-workers are also mildly fun to read, but I especially liked the way that Goldratt hinted at Alex developing feelings for a co-worker before getting back with his wife. A plot twist like that is far more than I expected from the book by simply looking it. I would recommend this book to any students interested in learning about the fundamentals of the theory of constraints or managerial accounting in general. The fluidity of the book (I read it in about 2 days, a shockingly fast rate of page turns for an assigned book) and the general principles behind the book make it a good choice for an introduction to accounting, or at least far better than a textbook. I would also recommend this book to a manager just because knowledge is power. The theories prescribed in this book may or may not work for an individual corporation, but it is at least worth a read because the said manager's company could really benefit from implementing such a system. If the company would not benefit from it, the manager still read a pretty good book. The concept is good. But the marriage details that surround it were TOO MUCH. The points could have been given in overview format and much more concisely stated. I got tired of this fast, because I don't have time to read it all. I read about 2 books a weeks, but not when I have to sit through a bunch of boring details. Intead, I like the setup of "Mastering the Rockefeller Habits." The first chapter was designed for executives who won't spend the time reading the whole thing, but instead want an overview to quickly grasp the point of the book. These busy readers are then instructed to find the chapters that they are interested in and read up as needed. I recommend reading the whole book, "Mastering the Rockefeller Habits" but I like the option to read or just review! Unfortunately, I didn't have this option with "The Goal." Straight forward & easy to follow reading. The Theory Of Constraints portion was a bit dumbed down and a the romance thread was a little tiresome, but all in all it was a decent read. The last 50 pages are a complete bore...just kept dragging along so I suggest you close the book once you think the hero has saved the town - you won't miss a thing. 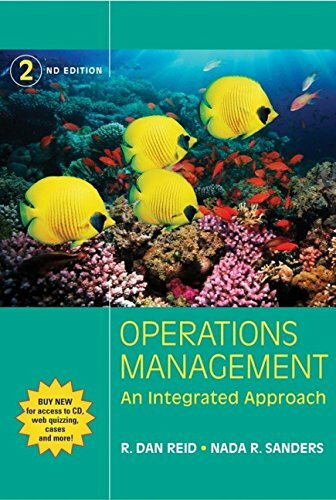 The beauty of this work is that it is able to distill complex but dry operational management issues and transform them into easy to follow conceptual framework that is both enlightening and entertaining. The solutions to the problems are stated in plain language that appear almost like common sense, but "common sense is not so common." 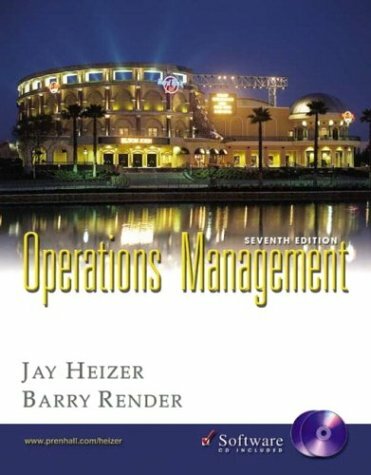 I think this is the right book to start studying materials management.Each chapter, written in an easy to read manner, offers a great deal of systematically classified information on every aspect of production planning and control. I suggest reading the book with the accompanying case book, which also covers lots of useful material though with some typographical errors. If chapters were outlined in more detail with subsections it would help facilitate a clearer understanding and enable following up points of reference more easily. I and my students found it both useful and enjoyable in class. there are better books on Manufacturing. The third edition was written to make the book agree with APICS terminology, and the fourth edition is not a major rewrite. If you are buying this book to study for the CPIM Exam, save yourself some money and buy the third edition used. My problem with this book can best be shown with an example. On page 61 (3d ed.) "The master production schedule is a plan for the production of individual end items." Later (p.79) "Planning bills are an artificial grouping of components for planning purposes." "They are used to simplify forecasting, master production scheduling, and material requirements planning. They do not represent buldable products, but an average product." So which is it, does the MPS contain only hard orders to be filled, or hard orders AND planning bills, or should we also add forecasts of families of products. I believe that an MPS that contained ONLY hard orders would be useless. For a book that I wouldn't be without, see: "Manufacturing for Survival" by Blair Williams." It doesn't use APICS terminology, but it does have more useful information. Of all the supply chain type books I own, this is by far the easiest to understand. I will read the chapters to gain the understanding then move to another text if I felt I wanted a deeper level. 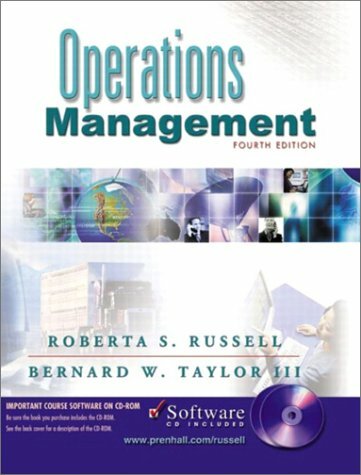 This is a required book in Keller Graduate School of Management for GM588 (Managing Quality). It is an exceptionally comprehensive title. This book is tired and out of date. It is time to retire this textbook. 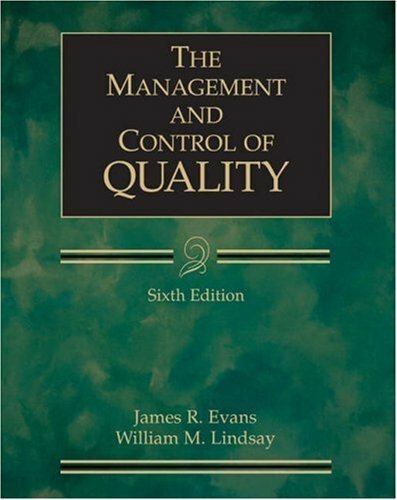 This is one of the most comprehensive references on the subject of managing and controlling quality one could want -- and all under one cover. The authors' points of reference in the development of their subject matter are documented with case after case supporting their views. No light reading, this work will serve well both faculty, of undergraduate and graduate students alike, and professionals serious about the business of continuous improvement and quality. The work is also accompanied by a student CD. Full of valuable tips, techniques, illustrative real-world examples, exhibits, and best practices, this handy and concise paperback will help you stay up to date on the newest thinking, strategies, developments, and technologies in supply chain management. "Mr. Hugos uses a fluid writing style that takes a difficult subject and makes it read like a novel. I read it quickly and continue to use it as a reference guide. We provide services and materials to the fortune 500 and this book provides us with a thought process that endures as well as simple actions that will increase our bottom line immediately." "Michael Hugos does an excellent job of informing the reader on the latest concepts and technologies of supply chain management (SCM). The real jewel in this book can be found in the way that Mr. Hugos was able to provide a solid set of frameworks that will enable the business executive to link SCM to strategy and, at the same time, measure its effectiveness." "This book takes a purportedly very complex subject and reduces it to easily understandable concepts. It very clearly and concisely explains how to determine your companys place in the value chain and how to enhance your companys value in that chain. It should be required reading for all business students and current managers who are searching for better ways to compete in todays marketplace. I have marked several pages that contain concepts I want to put in practice immediately." As a person with little time lately for personal reading, I have to be judicious about my reading adventures. I feel that Mr. Hugos created a very "easy read", while providing ample information about his topic to educate the person "on the go". My profession involves interfacing with CIOs daily, and I can now feel more confident in my acumen around the Supply Chain Management space. I think Mr. Hugos accomplished his objective of enlightening executives about this topic, w/o using the "techno-speak" that often chases them away. Overall, I highly recommend this book, and I am interested in finding out more about the "Essentials" series. Mr. Hugos, I thank you! Michael Hugos is a new voice to the John Wiley & Sons "Essentials" series of business texts and a most welcome voice at that. Clearly, he has attacked a complex subject in supply chain management. To Mr. Hugos' ultimate credit, he delivers the reader into his world of supply chain management without hiding behind techno-jargon. Imagine this: a plain-speaking CIO/author with a vision and an ability to simplify the complex without talking down to his reader. Quite simply, Mr. Hugos' book is a freshing wind of IT knowledge and know how. If you wish to understand supply chain management, buy this book. Great coverage of 'the nuts and bolts'. 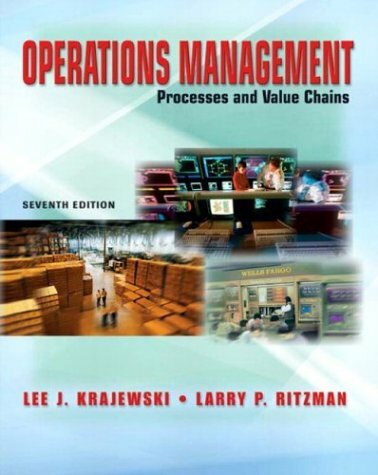 The book focuses on operational and tactical aspects of supply chain management. The coverage is clear, logical and highlights key points well. Each chapter ends with a summary. There is a wealth of figures, tips and techniques and explanatory "boxes", all of which are concise, relevant and useful. Supply chain management has moved rapidly from 'poor relation' to high strategy, driving strategic alliances and involving world wide logistics. This book does no more than touch on these wider strategic issues; its concern is with the fundamentals which provide the platform on which strategy can be successful. It succeeds admirably within its objectives. As a consultant in this area, I have recommended this book to my clients. This well-structured, easy-to-read book is an excellent introduction to concepts of Supply Chain Management. Its target audience, executives who must learn about supply chain in order to make strategic decisions, could be expanded to include any person who wants or needs to learn about supply chain. 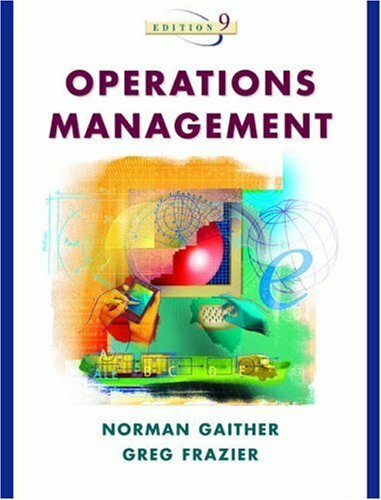 I highly recommend it as a first book for any project manager who is new to this are. The book contains 8 chapters, each with a similar structure: a list of the learning and performance objectives of preceding the actual content, which is presented in a logical and interesting way. The content is accompanied by helpful diagrams and a series of examples or case studies labeled "Executive Insight" or "In the Real World". It also contains lists of helpful "Tips and Techniques". 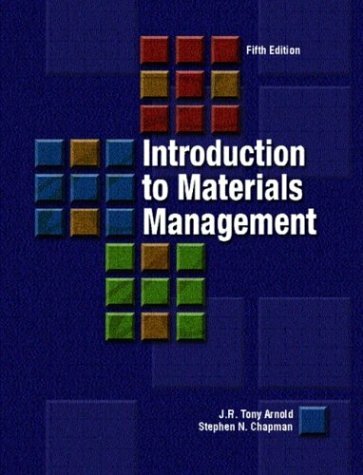 The author begins with an overview of the general concepts of Supply Chain Management. 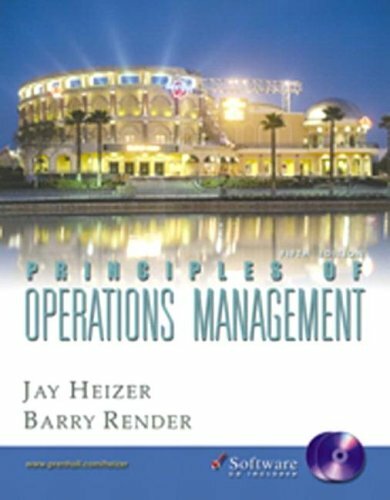 One of the objectives of this chapter is to be able to "Start an intelligent conversation about supply chain management issues in your company" It is a tall order, and the author succeeds, introducing the neophyte to the basic concepts of Production, Inventory, Location, Transportation and Inventory with clear and concise prose. In a very interesting example, Hugos uses the story of Alexander the Great to illustrate how a good supply chain functions. 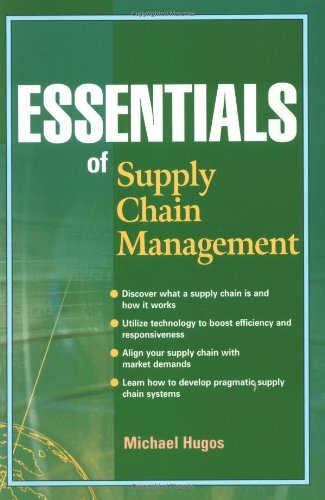 The following 4 chapters systematically cover the basics of supply chain: Planning and Sourcing, Making and Delivering, Coordination and Technology and Supply Chain Metrics. Each of these chapters takes up the fundamental concepts involved and explains them in a simple and understandable fashion. For those that are reading this book as an introduction to supply chain, there will be many an "aha"of understanding as you read along. Of particular interest for the IT project manager, Hugos explains at length what the various technologies are that serve the supply chain. 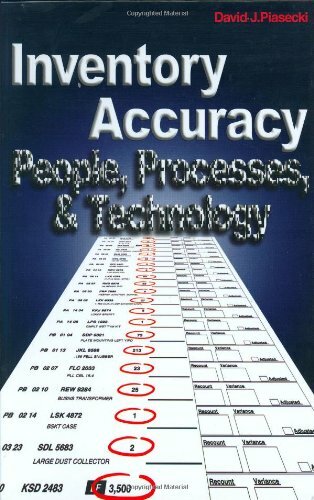 In the final 2 chapters the author assists the reader in analyzing the type of market(s) that their company targets, and how to determine and plan for a supply chain to succesfully serve them. As well, the chapter includes a number of usefel tools and techniques that can be used to plan out a supply chain project. Most project managers should find this section to be very useful. He closes the book with a look to the future, and uses the concept of "Emergent Behavior" to make predictions about supply chains of the future. He explains how supply chains will develop "Self Adjusting Feedback Loops", using automation to keep information constantly flowing around the loop. I highly recommend this book to anyone who wants to know more about Supply Chain Management. It will be helpful in particular to project managers and IT professionals who want to work in the manufacturing sector. It is well thought out and eminently readable! After only reading a few pages of this book I could see that this Toyota has a lethal weapon in business that American companies seen not interested in using - or worse think that thay are using it just fine? Compare "TPS" with "My Years With General Motors" and imagaine who you would rather compete with? Demming said something like "export everything from America... except american management!" This book will show you why. 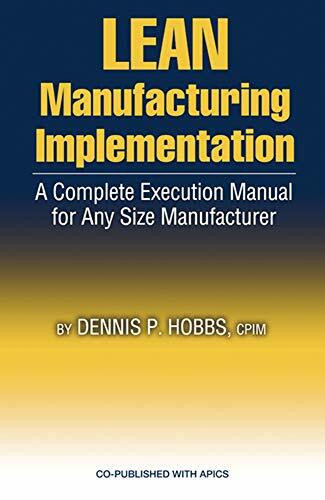 This book is not a "ISO" type blueprint in that it is a consise overview without much "filler" or stale requirements so don't worry if you donot get the big picture until you have read and maybe reread the book. One note - I think that just maybe (if I can be so bold) that chapter 3 should be read first then the rest of the book. I also recomend other books (and web searches) on Kaizen by those who have done it for as long as Mr. Ohno. 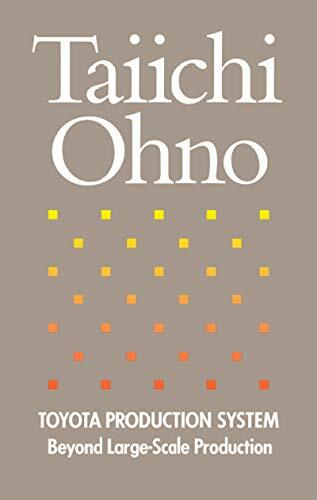 I really enjoyed reading Mr. Ohno's book. Even though it is a short book, it is full of ideas that can be applied to any production bussiness. Even though that the system was created for a car production facility, the concept of "waste" is useful to any type of manufacturing. This idea, coupled with the concept of producing exactly what is sold ( or what the client requests )allows any company to became profitable in times when profit margins get narrower and narrower. 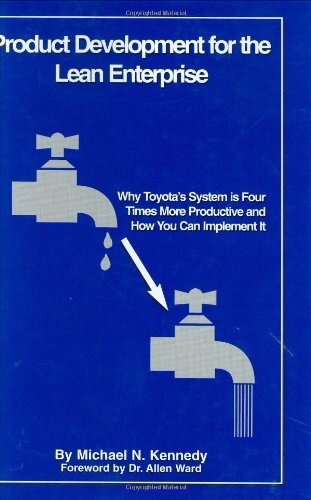 I am a former Toyota Engineer and recommend that anyone interested in learning about the Toyota Production System a.k.a. lean manufacturing this is the place to start. Mr. Ohno is the creator of TPS and he gives a very good overview of how the system works. The book is very easy to read and easy to understand. 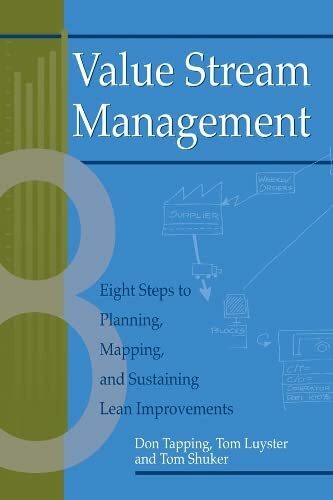 This book should be read by all upper management employees looking to create a lean environment in their plants. The book will give you a good foundation to start implementing the techniques. It is the best book to read considering it comes from the inventor himself. It is the best you are going to find shy of being actually trained within Toyota's walls. This is a short book and as such gets to the point. Explains difficult concepts in a simple way. This book explains how JIT, Kanban, Zero Defects came about. Also shows what is missing from American JIT and that is production leveling. Excellent explanation of principles of Just In Time Mfg. 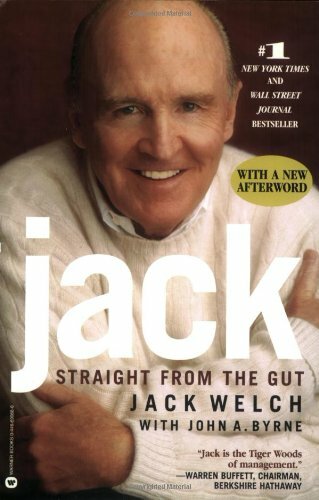 REVIEW: If one word could sum up Jack Welch's career at GE it might be "results". And this is why many people will want to read this book. It is basically an autobiography of Jack Welch's GE years and does not dwell on deap management theory. Those readers expecting a lot of new business theory or to learn how to repeat Jack's performance by reading about his secret methodology may be disappointed. The management insights that Jack does reveal seem to me to be generally built on fairly well established (but poorly executed) management practices. Jack has just embraced them and used focussed passion coupled with an obsession on people to execute superbly and produce great results. For example, some of his major initiatives could be said to have been derived from existing management principles: 1) "No. 1 or 2" Jack admits is derived from Peter Drucker, 2)I believe six sigma is derived in part from Motorola, 3) "Boundaryless behaviour" can said to be based on Peter Drucker's observation that there are no profit centers inside an organization, and 4) Jack was clearly not an early pioneer on "E-business". Yet he recognized the opportunities and produced results from them. The book probably won't become a classic, but it is still recommended reading for today's and tomorrow's managers and especially those interest in the man himself. STRENGTHS: The book is a fairly easy and interesting read full of anecdotes and insites. It does a great job of showing the management task as art and discipline that can be learned, improved, and mastered rather than as personal charisma or other common stereotypes of leadership. WEAKNESSES: The minor weaknesses of the book relate to Jack's strong, competitive personality (and maybe ego) that show through in his writing. Despite that author's initial disclaimer to read "I" as meaning "we" I found Jack's lack of distinction between himself and GE to be minorly annoying. Parts of the book are filled with phrases like "I bought this $$$$$ company" when clearly "We" is appropriate [I know, I'm nit-picking]. Second (and this is almost excusable in an autobiography) Jack rarely gave the "other side" of the story when discussing major GE crises. For example, he never explains the EU's reasons for blocking the Honeywell merger, assuming that it is so obviously wrong it's not worthy of explaination. His advice may seem obvious to some, but how often is it actually practiced? I shouted "yeah!" to myself over and over as I read a couple chapters of this book. For example: the chapter about rating and rewarding his employees was excellent. For example, giving Class A employees 3x the salary increases over Class B employees-- Great!! Giving NO increases to Class C employees, and getting rid of them sooner rather than later...what can I say, I LOVE IT!! He's so right about the fact that it's more cruel to let Class C workers attain and maintain an certain income level (that they are not really worthy of), and waiting til they're older, with a large mortgage and kids in college before finallly telling them that they're not making the grade. I've worked with some people in the high-paying tech arena that, because of either blatant incompetence, bad attitude, and/or pure laziness, never should have gotten to where they are today. As far as I'm concerned, some never should have gotten past working in the food service industry. Eventually those people *do* get weeded out (I'm seeing it happen right now in this economy). Sooner is better than later, both for the employer and the employee. I also enjoy not having to work with those types. I must say I am disappointed in this book. Mr W. clearly takes much credit for the success of GE. Although a strong leader in any organization can make a big difference, it looks disgustingly fake when he tries to take all credit for success. If you are a critical reader you will most likely see through the tireless self promotion that went on with W.
I cannot waste any more time on this book, so I must end this review here, but there are good parts of this book. To find out about those, read someone else's reviews. A good book to get the inside "going ons" from a CEO's perspective. If you have interest in GE and the happenings through Mr. Welch's eyes this is a good read. I was hoping to get a little more insight and direction regarding the key elements of running an extremely successful business. Outside of the "people are everything" and weed out the bottom feeders, there was little practical knowledge to be taken from the book and used by manager "want-to-be" types. I guess it's not bragging if you can do it - and he did. It is difficult to argue GE's success over the past 20 years. Mr. Welch took a 12 billion company and made it into a 500 billion dollar business. Without even using a computer!! Regarding the portion of the book were he talks about assigning E-trainers for all the top executives in the company, all I have to say is rank does have its privileged, It must be nice to have a techie hold your hand if you are an executive and computer illiterate. I am not sure if it is ignorance or apathy? In Mr Welch's defense, I am not sure how the author could have gotten around referencing everybody he worked with or for. If you can get through that part of the book, there are some things in the rest of the book that are of value. I listened to the book on tape so it wasn't so bad. He does talk about real people and real problems that he encountered throughout his career and what it took to get the job done working within the environment HE created. If you are not a business person or just wondered what it is like at the top, here are a dozen of the key ideas Mr Welch talks about in his book. Not to mention a smattering of, golf, tennis and ping pong stories.